As the title implies, my RV has the SW10PE water heater - it's the kind with a manual pilot light (no electric ignitor) and a separate AC electric element. The symptoms are that I'm able to light the pilot and turn the valve to "ON", and the pilot stays lit. So, I know the thermocouple is working and the gas valve is at least partially functional. However, no matter where I set the temperature the main jet doesn't light. I've yet to disassemble and clean it (I know spiders like those tiny holes), but the soap bubble test shows nothing at all coming out. So, at this point I suspect it may be the thermostat that's faulty. To be sure, the condition of the tank may be REALLY bad. The sacrificial anode is completely gone and the electric element is open, so it wouldn't shock me if the gas valve thermostat is corroded/shot. 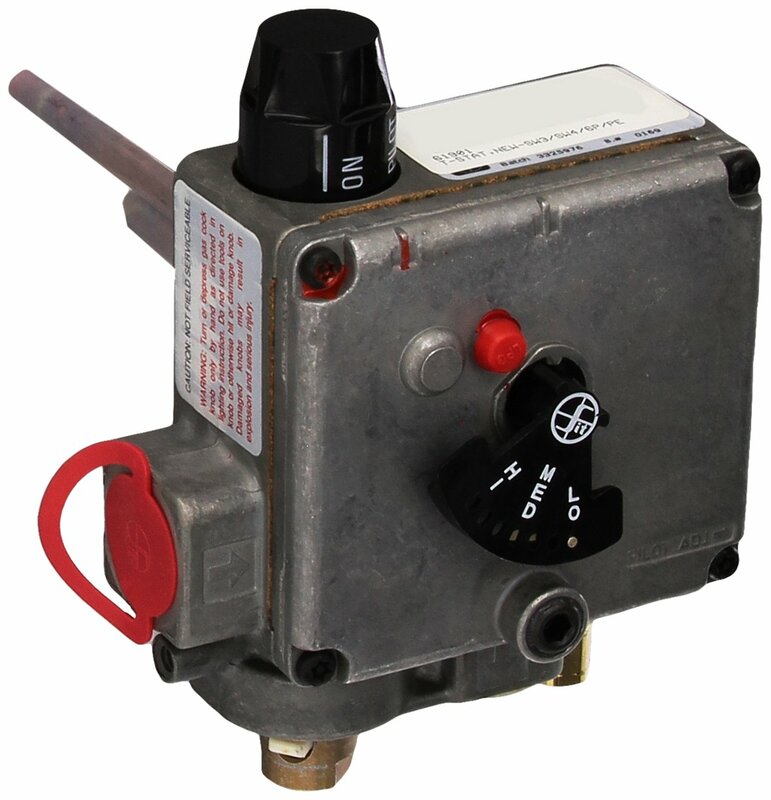 Related, I found ***Link Removed*** where the user describes a gas valve that won't shut off (overheats the tank) and the consensus seemed to be a faulty thermostat. Mine is the opposite problem, of course, but before I go making assumptions I thought I'd ask the experts here! 1) Is there a test I can perform to confirm a faulty thermostat? Is there an ohm specification? Or should it just be 'closed' (0 ohms) when heat is needed? Is there any other recommended testing procedure? 2) If I can confirm the thermostat is faulty, does anyone have a link to a replacement part? I'd hate to replace the entire gas valve if that's the only problem. That’s basically a mechanical valve- if the pilot stays lit in the “on” position, the electrical safety fuse is fine, it interrupts the thermocouple current which holds the safety open..
Are you sure the shaft is actually turning when you move the temp adjustment? I’ve had them freeze up so moving the adjustment doesn’t move anything. I just tried moving the temp adjustment and it SEEMS to move the shaft, but as you can see in the picture it's completely covered by the plastic cap - so I can't tell if it's actually moving. That being said, it feels exactly how I would expect it to feel: smooth, light resistance. It doesn't 'catch' or 'slip' or feel loose at all. I've already removed and inspected the gas tube and orifice - both were clear, I could easily see through and easily pass 'breath' through. There were cobwebs in the burner tube, but gas wasn't even making it out of the orifice. Thanks for the additional reply! 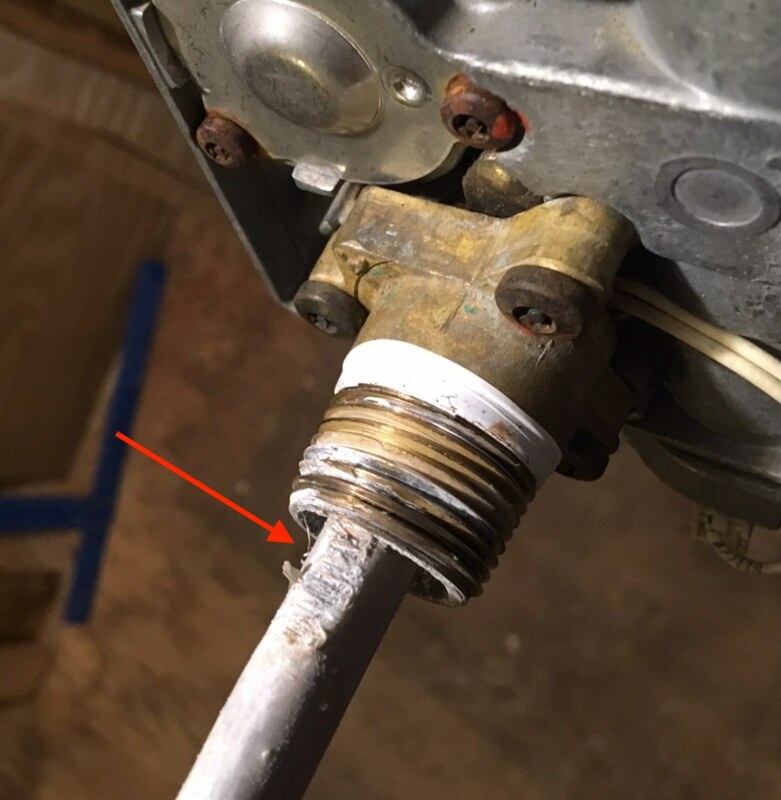 No, I'm not referring to the thermocouple - the pilot light stays lit so clearly that part of the gas valve is working (there is voltage from the thermocouple, and that voltage is holding the solenoid open). And, yes I agree the ECO inside the probe is intact or there would be no gas flow at all (even to the pilot). 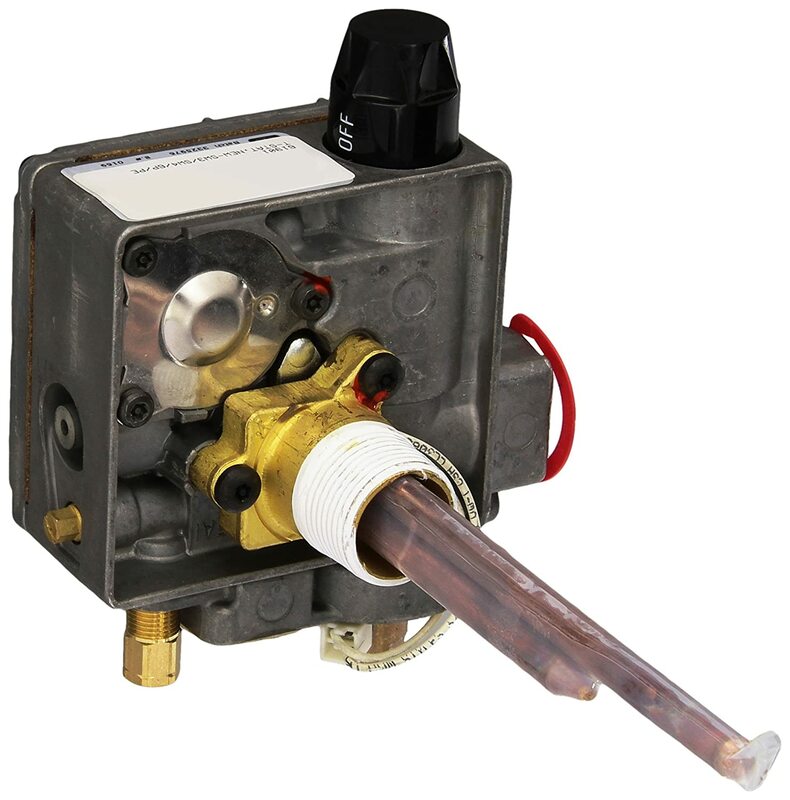 What I was referring to was the 'main' side of the valve... obviously the gas valve must sense the temperature of the water somehow (via the probe, I assume), and that in turn controls whether the main valve is open. As far as I know, the thermostat must be purely mechanical (bi-metallic? ), or it's electrical and there's a thermistor that allows/disallows current to flow through a second solenoid to open the main valve. By your reaction it sounds like it's the former - so thanks! I do understand that the standard answer is to say "It's not serviceable - you have to replace it! ", but I was hoping a DIYer who has opened one up and fixed it might be able to tell me whether it's even worth trying. UPDATE: Just wanted to circle back here for anyone else happening upon this post. Counter to the advice I was given, I ended up taking the gas valve apart, applying my best troubleshooting skills, and then when I didn't find anything obvious, re-assembling it. PS - As it turns out the reason the old valve wasn't working was that it was filling with water. The plastic cover on the temperature probe had been compromised by the threads on the tank and water was leaking in. Photo attached.